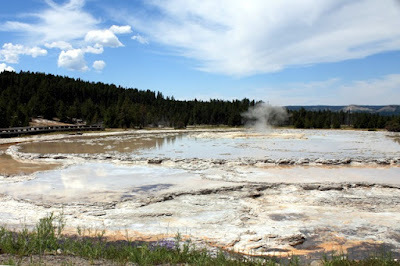 Having been to Yellowstone quite a few times, enjoying each visit, this July trip, we went for the little places-- not the main tourist attractions. These don't all have names but they have the same beauty as the major sites-- just smaller, with less people watching their shows. 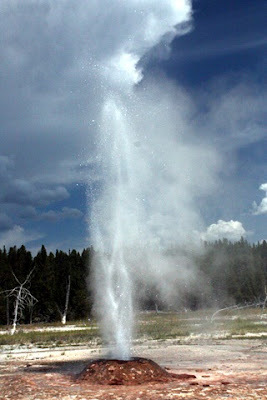 It had an advantage of being quieter-- well, the little want-to-be geysers did gurgle. 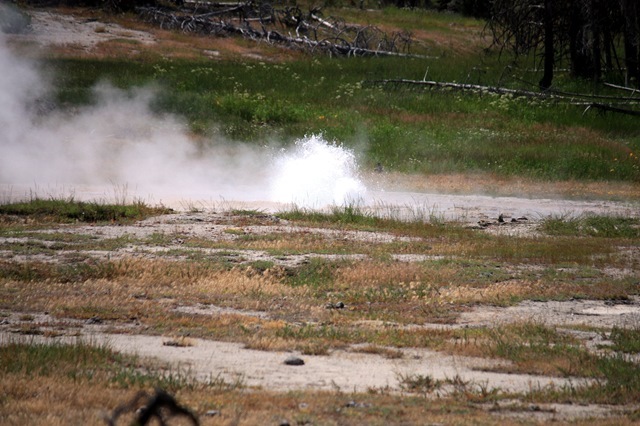 Photos are all in the geyser basin but not where the big parking lots are. You look out across the horizon and it feels like another world-- a world of creation and new beginnings. 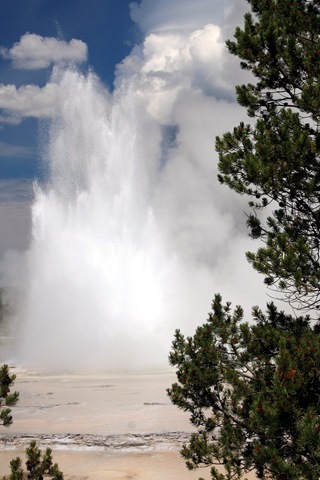 A little hot spring can also have a tiny geyser, but hey, maybe someday it might be as impressive as Old Faithful-- or will it disappear? A few are named-- Pink Geyser. 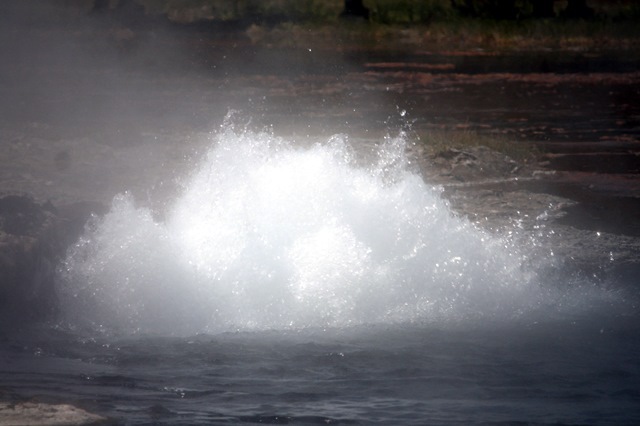 For me, to be in the geyser basins feels like the earth speaking out-- creation in its essence. You wait and never know what you will see. I've been there once almost two decades ago, of course I went to the main attractions. I like your impression of it as a world of creation and new beginnings. When I was there you could still see the damage from the big fire a few years before, I wonder if you can still see that or is it all overgrown now. I was there the first time in '92 and remember the devastation well. 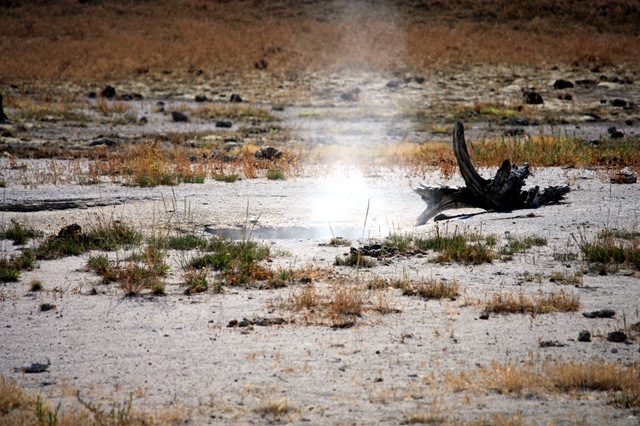 You can still see it some places, where the fire burned hotter, more than others. There have been fires since. 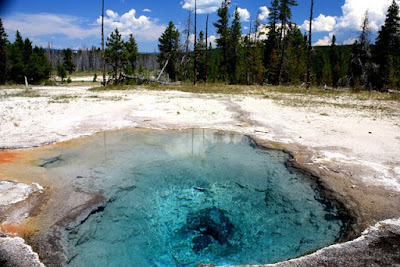 One came almost down to the Slough Creek Campground last year according to the keeper for there. Enjoyed your photos. 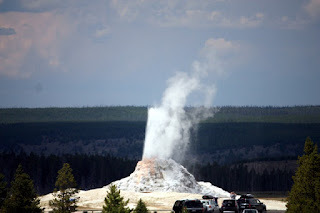 Unfortunately, after moving to Calif. we never made it to Yellowstone. Then when we probably would have gone my husband's health precluded such trips. Glad we had trips we did previously, including Grand Canyon visits several times, a favorite of mind and the music of Grand Canyon Suite. Yellowstone I think i might associate with Rite of Spring, also featured in a favorite movie of mine, the original Fantasia. 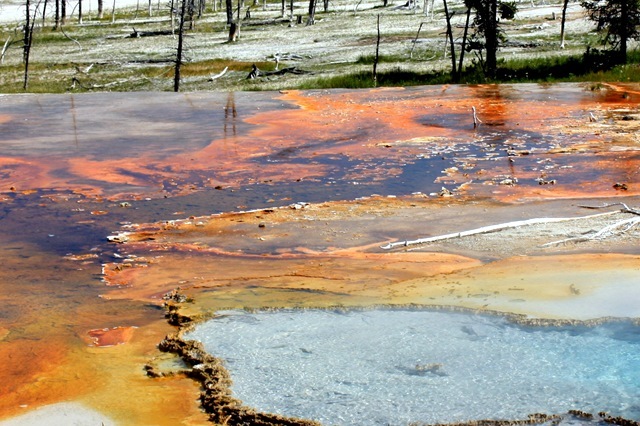 I've been to Yellowstone several times. This last time when taking Dad to Dakota for a family reunion. We avoided all the high tourist areas and like you visited the less seen places. Stopped on the Madison to watch a fly fisherman, and when he came out, Dad asked him where he was from, ended up that he goes fly fishing every year in Yellowstone, and is from a small town not that far from Dad's house. Small world.